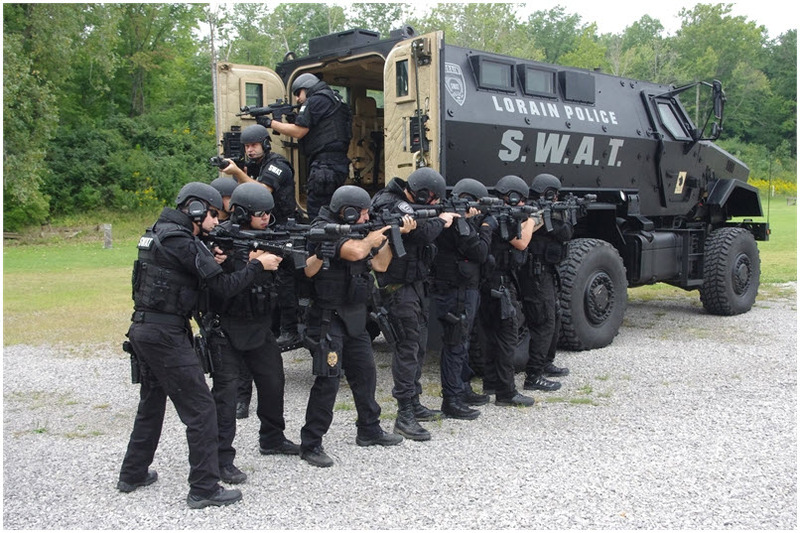 The Lorain Police Department Special Weapons and Tactics (SWAT) Team is made up of 14 officers with advanced tactical training. The main objective of the team is to provide a controlled and coordinated response to emergency situations in an effort to protect the citizens of Lorain, the police personnel responding to such incidents, and all subjects involved. The ultimate goal and purpose of this team is the protection of life.